Your bathroom is your sanctuary. No matter if its big or small, with just a few key items, you can transform your current bathroom into a spa oasis. Read on to learn out favourite spa items! Any bathroom needs storage space, and a glass shelf is a great place to store your bath essentials. 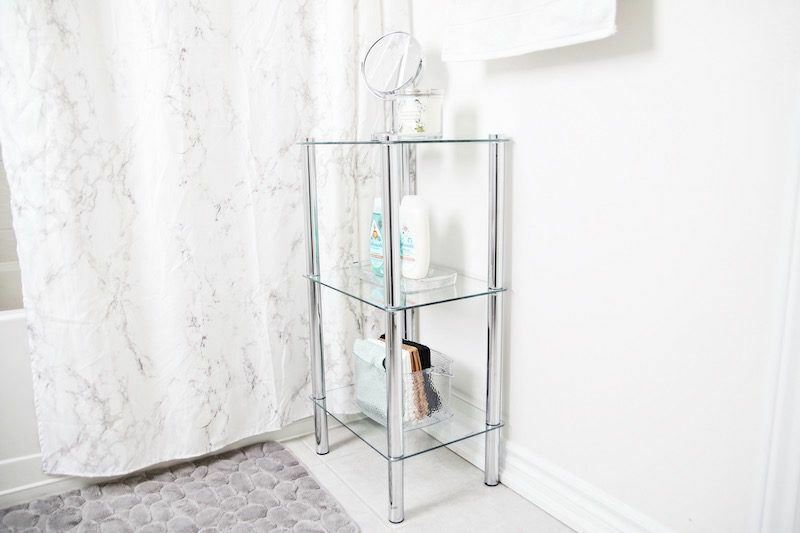 We love how this shelf is made of glass and stainless steel so it blends seamlessly with any bathroom decor, especially when we’re going for a spa theme. If you don’t have a bathtub caddy, you’re seriously missing out! Aside from the obvious decor, a bathroom caddy is extremely functional for anyone who loves indulging in baths. 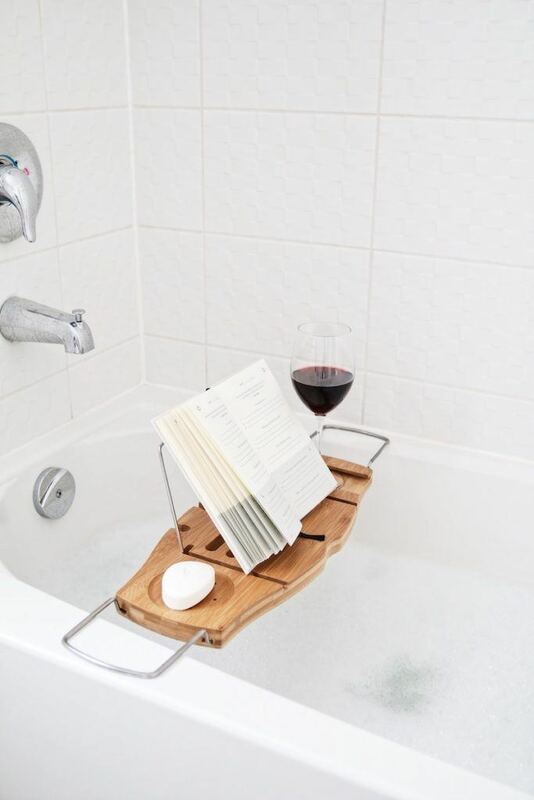 This bathtub caddy can safely hold your favourite book and a glass of wine. 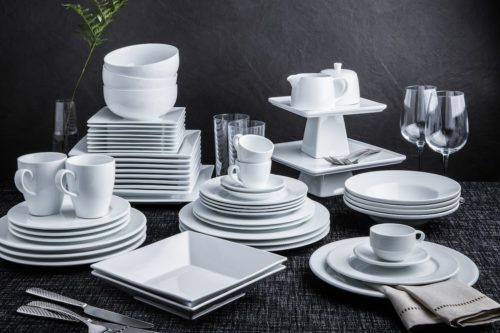 Plus, you’ll never have to worry about molding or splitting because its made of natural bamboo! Have you ever been to a fancy hotel or a spa and tried to unwind in the tub only for your arms to be met with bottles? Us neither. 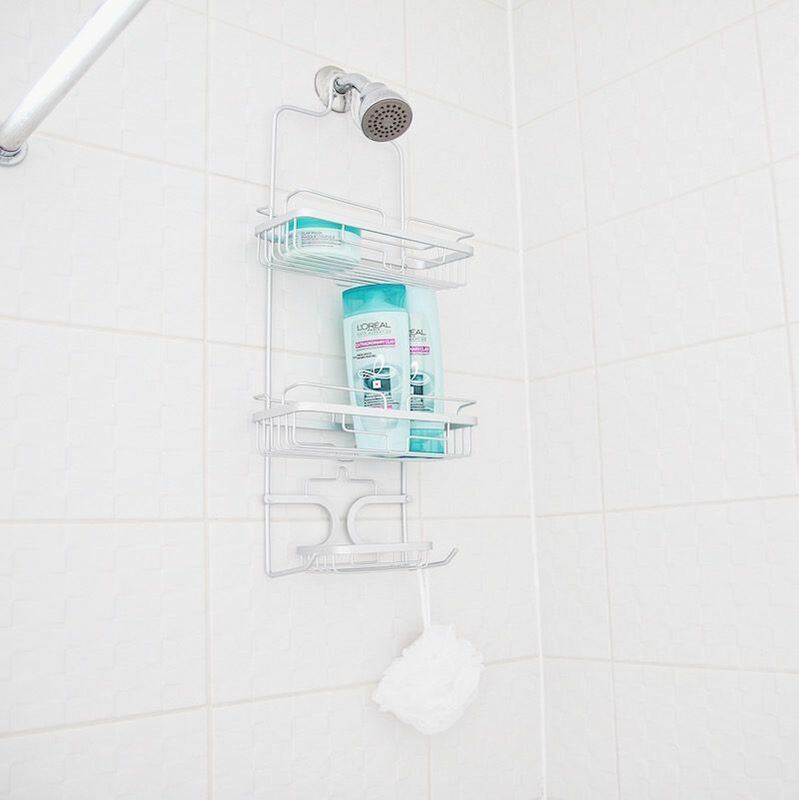 Keep your soaps and shampoo off the tub ledge with a shower caddy like one of our favourites. 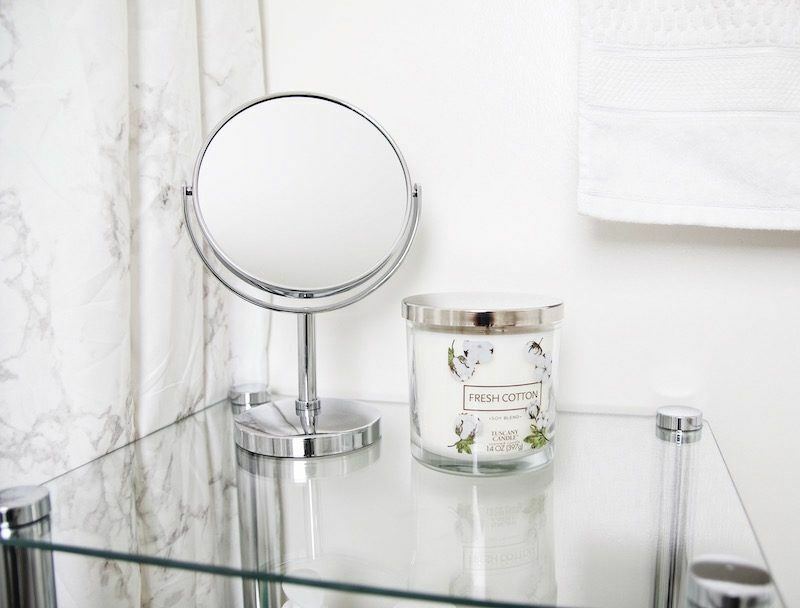 Really amp the calmness of your bathroom with a beautiful scented candle and a sleek mirror. 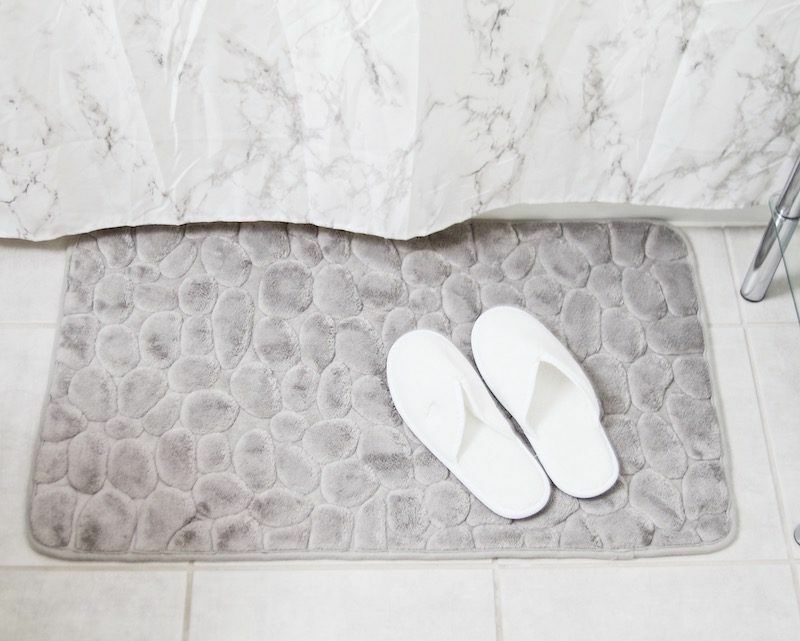 We love this microfiber bathmat for so many reasons! Of course it looks so cute with it’s stone-like pattern, but it’s super soft and keeps your floors dry when you step out of the shower. 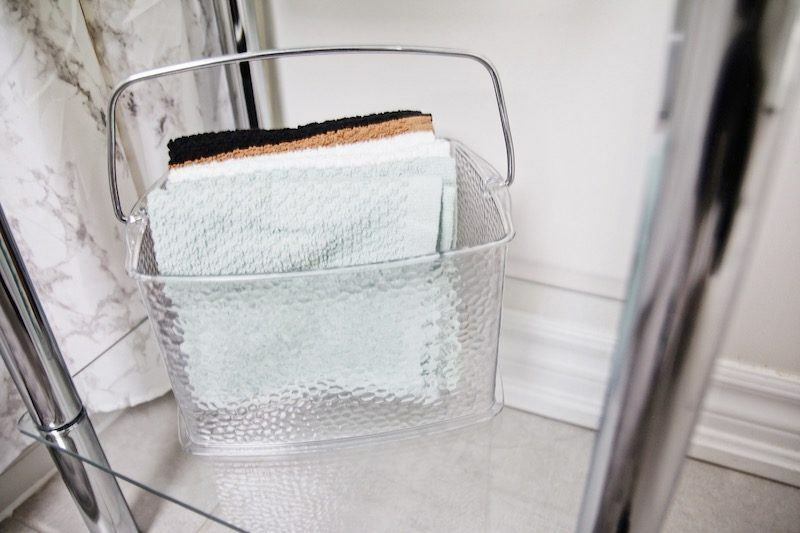 Don’t just stack your towels loosely – folding them nicely and storing them in a clear basket helps to keep your bathroom looking sleek and spa-like! The wash clothes aren’t too hard on the eyes, either. The first thing anyone will see in your spa bathroom is likely the largest – the shower curtain! 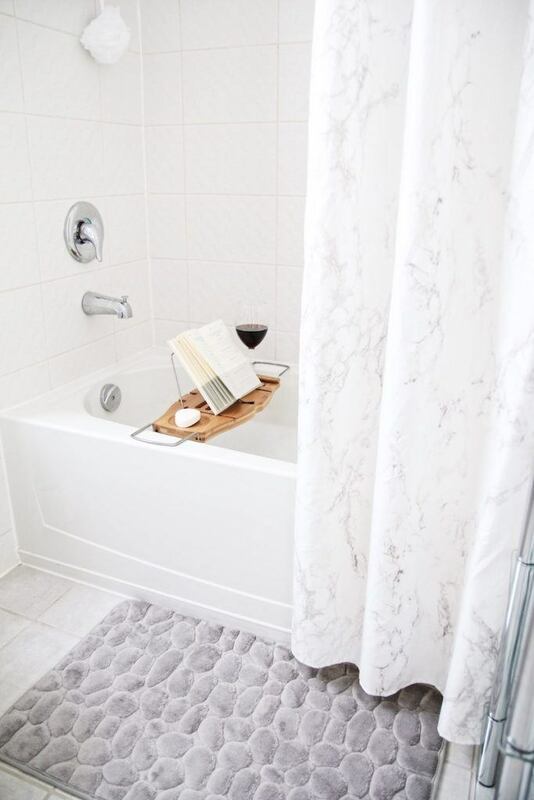 We adore the classy look of this marble shower curtain. 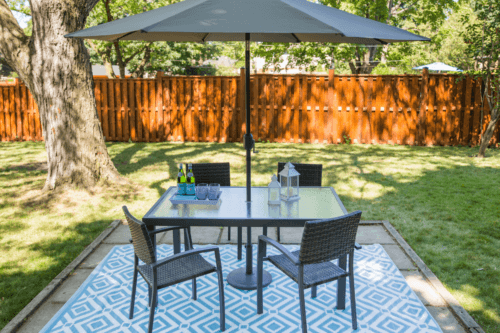 It pulls the room together – literally! Your spa bathroom is still, after all, a bathroom. 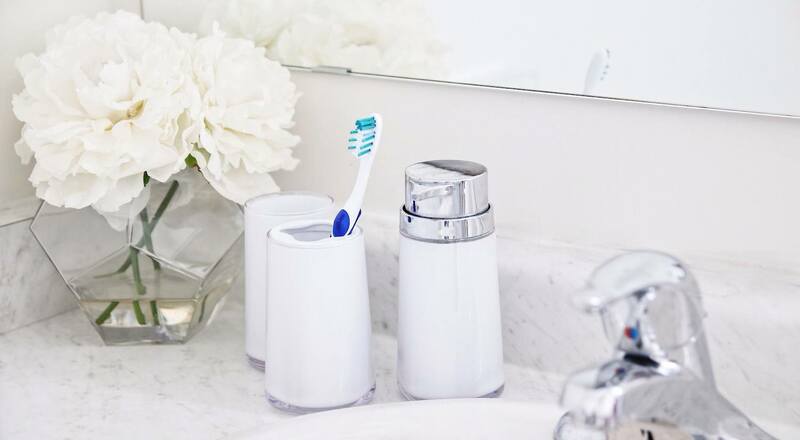 But who says your bathroom necessities cant’t look good? 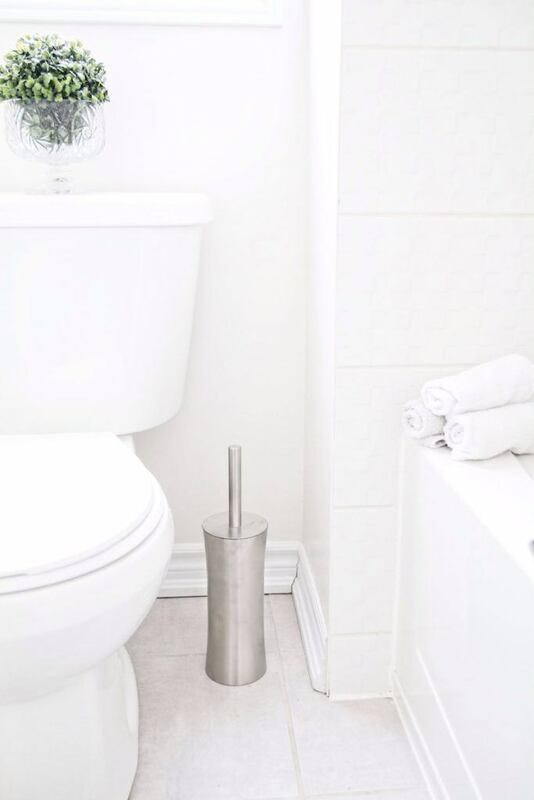 A brushed stainless steel toilet brush looks nice without making the brush something the eyes will be drawn to. There’s only 4 days left of our Bath Sale. 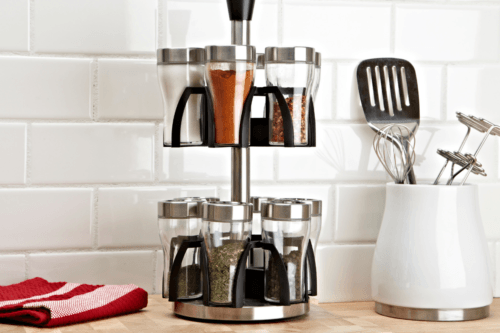 Save on items like simple bathroom storage, functional shower caddies and countertop organizers to make spa day, every day. Our sale is on now until March 24 so don’t miss out! Want more bathroom inspo? Check out tips to give your teens independence in their bathroom or how to make the most our of a small bathroom condo.